In an unspecified future, a number of planets have been discovered that harbor life that closely resembles that on Earth. One of these worlds is Arkanar, muddling through a period of history that resembles Medieval Europe. 30 scientists infiltrate the population and observe the planet’s technological and sociological progress. But observation is all that’s allowed: the scientists must never, under any circumstances, interfere with the alien planet’s culture. One of the scientists, posing as visiting nobleman Don Rumata, finds it hard to stay objective. After all, he is not witnessing ancient history, but real events. Under the regime of sinister Don Reba, the scientists and intellectuals of Arkanar are systematically tortured, terrorized and murdered. Frustrated that he has the power to act but cannot, Rumata must stand by as pogroms and purges threaten to destroy Arkanar’s future. But even if he could act, would it do any good? Doesn’t history — on any planet — always repeat itself? Based on the 1964 novel by acclaimed Soviet science fiction writers Arkady and Boris Strugatsky, Hard To Be a God was originally written as an allegory to the anti-intellectual purges of the Stalin era. Don Reba is a thinly-disguised version of Stalin’s brutal henchman Lavrenti Beria, and the novel was written amid the fear and uncertainty of Khrushchev’s reign. 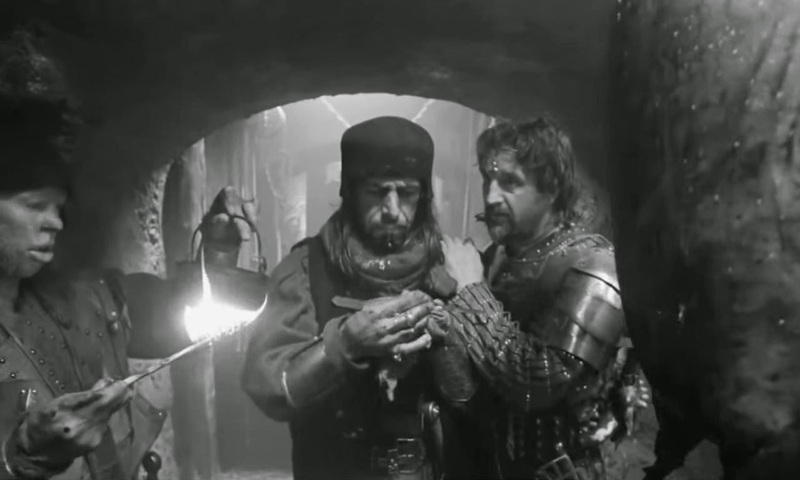 In filmmaker Aleksey German’s hands, Arkanar is brought to life as a place of visually arresting squalor that can be hard to take; I can’t recall a depiction of medieval life that was more relentlessly grim. Arkanar is gray and rainy; mud and filth are everywhere. The people are dirty and unwell, often gaunt, toothless, half-starved, and more than half-crazy. German had wanted to adapt Hard To Be a God to film for decades. 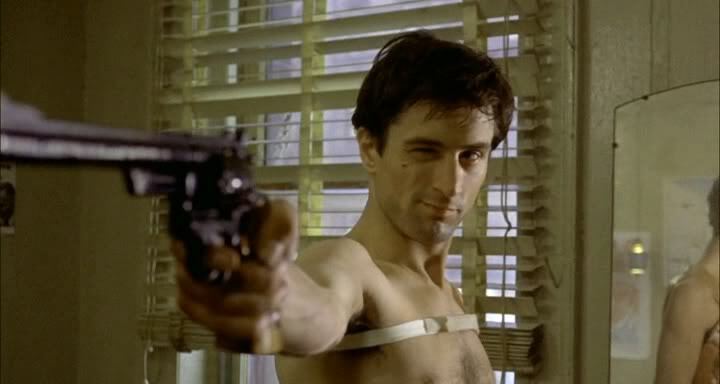 Shooting on this production finally began in 2000 in the Czech Republic but was shut down and restarted a number of times, for various reasons. It took 13 years for the film to wrap, and German himself died before the film’s premiere at Cannes. HARD TO BE A GOD screens Monday and Tuesday, June 22 and 23 at 7:00. Tickets are $8.00, and you can purchase them here. Tucked away on an obscure corner of the Federal Broadcasting Company is a small research department run by Bunny Watson (Katherine Hepburn). Bunny and her colleagues Peg (Joan Blondell), Sylvia (Dina Merrill) and Ruthie (Sue Randall) answer all manner of arcane questions submitted to them from throughout the building, and their encyclopedic knowledge is bolstered by an office jammed with every reference book imaginable. The busy career women are all single, and Peg, Sylvia and Ruthie dream of finding the perfect man, knowing that they’re unlikely to find romance in their bookish enclave. Bunny isn’t as desperate for male company, especially since she spends so much time fending off the unwelcome advances of her supervisor Mike (Gig Young). But the arrival of efficiency expert Richard Sumner (Spencer Tracy) turns the women’s world upside down. Sumner brings in a computer to collate information, and the women feel threatened by the encroaching technology. How long before the computer takes all of their jobs? As Sumner eagerly tries to prove that the computer can do a more efficient job than the humans can, he grudgingly comes around to the notion that the researchers are more capable than he gave them credit for; and after a good deal of verbal fencing the possibility of romance begins to bloom between Sumner and Bunny. DESK SET screens Friday and Saturday, June 19 and 20, at 7:00 and 9:00, and Sunday, June 21 at 5:00 and 7:00 at the Trylon. Tickets are $8.00, and you can purchase them here. Women spent much of the 1970s insisting on their right to occupy the workplace on the same terms as men, but by the end of the decade things had stalled. While some career women were able to move beyond the secretarial pool and the switchboard, the barriers were still imposing: the number of women in management — even middle management — was vanishingly small. Screenwriters Patricia Resnick and Colin Higgins tried to capture the constant humiliations and frustrations women faced at the office in Nine To Five, a comedy that plays a bit like a paleolithic Office Space. Violet Newstead (Lily Tomlin) is a sharp go-getter at Consolidated Industries, one of those movie corporations that doesn’t seem to produce anything in particular. After 13 years on the job, she has come to rule the roost of the secretaries on the 12th floor, but has been repeatedly passed over for promotion to management. The most galling snub was losing a management position to Franklin Hart (Dabney Coleman), a “sexist, egotistical, lying, hypocritical bigot” whom she trained in at the company years earlier. Now Hart lords his petty authority over the women around him; he shouts at Violet to bring him coffee (while taking credit for her ideas), sexually harasses his secretary Doralee (Dolly Parton) and eyes as fresh game new secretary Judy (Jane Fonda). The loutish and incompetent Hart doesn’t realize that his office drones have been pushed to the breaking point. They dream of doing away with him in a series of colorful fantasy sequences, and then — in a mordant screwball-comedy twist — come to believe that they have fatally poisoned him. There’s a whiff of old Hollywood in Nine To Five, a deceptively simple crowd-pleaser that makes its points without offending its capitalist overlords; Dabney Coleman’s Hart is so cartoonish that no one could call his comeuppance political. The movie is as peppy and sunny as the Dolly Parton song that kicks it off. And speaking of Parton, this was her first screen role, and she shows herself a natural on-screen; she is so relaxed and convincing you would think she’d already starred in a dozen films. Jane Fonda’s Judy is rather bland as the new kid, and in fact Fonda — whose production company helped to bankroll the project — is so low-key she seems to be hiding in plain sight. Lily Tomlin is really the protagonist, and she wins us over with a smart, sardonic performance. NINE TO FIVE screens Friday and Saturday, June 11 and 12 at 7:00 and 9:15, and Sunday, June 13 at 5:00 and 7:15. Tickets are $8.00, and you can purchase them here. We like to think of documentaries in terms of their utility: they deal in the real and the quantifiable. Even the ones that tell a story do so in a fairly prosaic way. But Jessica Oreck’s remarkable The Vanquishing of the Witch Baba Yaga is an elliptical meditation on myths, dreams and the fears evoked both by the supernatural and by the predations of men. In beautifully photographed scenes, we watch Ukranian villagers working the land their families have lived on for centuries. These are people who still use scythes to cut hay, and while they now use chainsaws to fell trees in the forest, they hitch horses to the logs to haul them off. The old traditions, the old habits, hold special importance because of the way they tie the villagers both to the land and to the generations that have come before. In the same way, handed down through generations, the myths and stories of the forest endure. The forest is deep and foreboding; and the history of eastern Europe is exceptionally bloody. Intercut with the scenes of village life is an animated version of the tale of Baba Yaga, a loathsome witch who lives deep in the forest and eats small children. 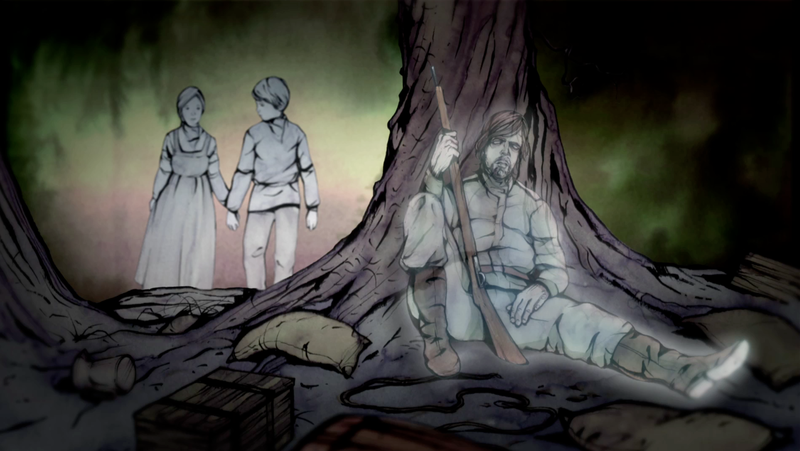 Young Ivan and Alyota are forced to flee into the woods at night when soldiers attack their home. Like the German tale of Hansel and Gretel, the two stumble upon a witch’s house, but this one is not made of gingerbread; instead it is a house with no windows, that stands on two enormous chicken legs. The witch hopes to devour the children, but creatures of the forest whisper advice to them and help them to stay alive. THE VANQUISHING OF THE WITCH BABA YAGA screens Monday and Tuesday, June 8 and 9 at 7:00 and 8:30. Tickets are $8.00, and you can purchase them here.